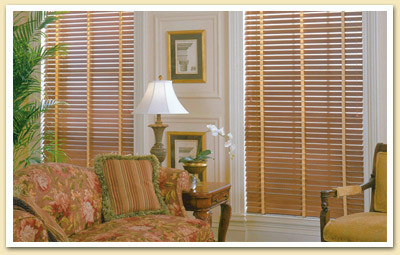 Wood Blinds – Window Designs, Inc. Here at Window Designs, we offer a large selection of custom wood blinds at discount prices.They are made from select hardwoods from various manufacturers, some of which include Hunter Douglas, Vista Products, Timber, Comfortex, Norman and others. 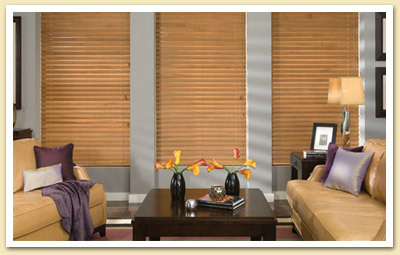 Wood blinds provide warmth and natural beauty to any room. 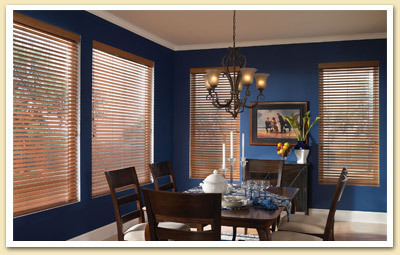 They are available in a wide variety of colors and stains, as well as a variety of slat sizes. 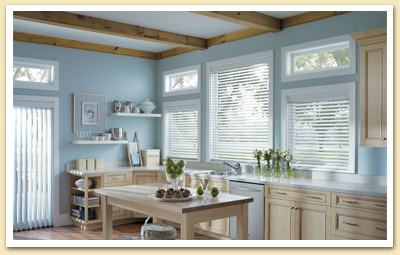 They are a great alternative to plantation shutters for the budget-minded consumer, but give similar look and function. Wood blinds are a wonderful alternative to plantation shutters, but can also be used to complement shutters in other parts of the home. They also add light control and UV protection to your home furnishings. Also available with a variety of control options, including cordless and remote control.